Lufthansa has announced an award-chart devaluation that will come into effect May 9, 2019. The changes are widespread and affect flights operated by Lufthansa and Star Alliance partners. While the devaluation is a negative change, it is not as severe as some other devaluations we have seen. When you compare the current award chart and the new chart, the devaluation affects a wide variety of routes across the world. First class round-trip fares go from 170,000 to 182,000 miles. Business class round-trip fares go from 105,000 to 112,000 miles. Economy class round-trip fares go from 30,000 to 35,000 miles. Business class round-trip fares go from 55,000 to 60,000 miles. First class round-trip fares go from 210,000 to 222,000 miles. Business class round-trip fares go from 135,000 to 142,000 miles. Economy class round-trip fares go from 105,000 to 112,000 miles. Business class round-trip fares go from 170,000 to 182,000 miles. Unfortunately Lufthansa has no major credit card transfer partners in the US. The only flexible points you can transfer to Lufthansa are Marriott Bonvoy points. Points transfer at a ratio of 3:1, and Marriott has a built-in bonus; whenever you transfer in increments 60,000 points, you will receive a 5,000-mile bonus for a total of 25,000 miles. Remember Lufthansa allows family pooling of miles, which is a great way for families who may not travel a lot to significantly boost their mileage balance. We are always disappointed with a devaluation. Fortunately, Lufthansa has given its customers advance notice. So if you were after a specific Lufthansa award, make sure to book before May 9, 2019, to lock in the current, cheaper pricing. Did you know you can filter the accounts in your AwardWallet profile by program? If you want to view only a subset of your loyalty accounts tracked by AwardWallet, use the Accounts Filter to display only the accounts you're interested in at the moment. Sad to see this but this is also reason why I stopped to have miles&more as primary FF program. Sometimes it’s wise to put eggs in different baskets lol. …bad luck for the loyal Germany-based flyers. Nevertheless, if I manage to do a booking before the de-valuation it’s even better! …and that is why I never credited LH flights to LH. Didn’t LH devalue their award chart not too long ago? It’s quite disappointing they are making it even worse now. This makes me sad since I’ve enjoyed Lufthansa flying in the past! Changes like this are a good reminder to earn and burn. Good thing the few miles I had expired I guess. I wonder if their devaluation will have any ripple effect on their partners. We usually use United points on Lufthansa flighs from US to Germany. LH is actually pretty expensive from DEN to EU, plus on all the trips with them we have done in last several years they were late anywhere from 4 hours up, pretty disappointing for a German company. The main sweet spot still remains, if a bit more expensive… no surcharge rewards on UA domestic. Never flown Lufthansa; guess I never will anyways….too bad for the German loyal flyers. Unfortunately, even though the devaluation isn’t severe, it’s already a worse award chart that other programs for US-based flyers. I mean, 35,000 rt on United within the US? In economy? No thanks. I do have some Lufthansa miles, but it’s not my primary star alliance program. Bummer. One of my main routes is Lufthansa. Could be worse, I guess. An expected devaluation that will soon be coming to Avios and more programmes. European collectors have got it hard now. As devaluations go, this one isn’t as bad as what others have done. 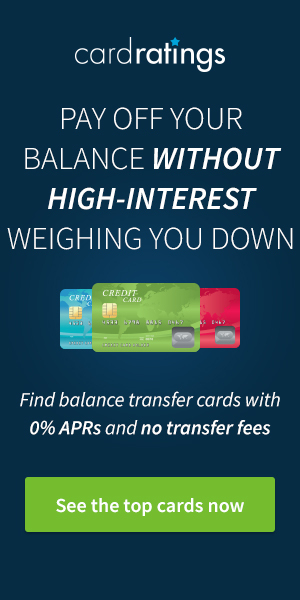 You didn’t mention this in the article, but Barclay’s currently has 2 credit card offers available at 50K and 60K bonus miles for $5K spending in a 90 day period. The particulars of each offer are on freefrequentflyermiles.com. Thank you for explaining family pooling. That’s something I didn’t know of but will come in very handy. It would be interesting to see how much miles and points from various airline and hotel programs devaluated over the past 5, 10, 15, 20 years. It seems like that every year miles and points are harder to earn and it takes more of it to get a reward seat or a hotel room. I can’t plan such short notice for their award availability, too bad it’s getting harder now as well. One day Lufthansa….one day. Percentage-wise, a relatively minor hit. Certainly could have been worse, ans we’ve definitely seen more egregious changes without notice from other airlines. Kind of a double whammy today though, as I was just reading this morning Singapore plans to ‘de-value’ the KrisFlyer award chart in the near future also. Great company. My only wish is that they would become more restrictive on what constitutes a “service animal”. Really?! I thought that was more of a US thing. 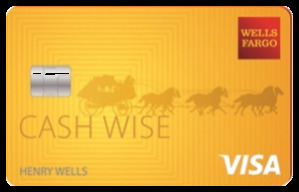 Is there an AW review of the Miles and More credit card? After Marriott took a hatchet to accumulating points via the AmEx SPG (now Marriott Bonvoy) card, I stopped using it for non-bonused spend and cancelled it. Is the Barclay’s M&M card a suitable replacement for those wanting to earn Lufthansa miles? We don’t sorry. To be honest, I would recommend collecting miles in another Star Alliance program like United or Singapore KrisFlyer over collecting Lufthansa miles. Much easier to accumulate and better award rates, plus you can collect flexible points which transfer to both programs and eliminate the need for co-brand airline cards altogether. I agree that UA MileagePlus and SQ KrisFlyer are better programs. For me, the only reason to collect M&M is to fly LH F, which is unlikely for me because I typically book more than two weeks out. So the program is going from bad to worse. It is already so difficult to keep the points gotten from credit card and use them for anything worthwile. Thanks for the head-up though. Sad news for Lufthansa frequent flyers. Still a quality airliner though. I’m assuming this devaluation is also with the heavy surcharges that Lufthansa chargers. There’s also a Krisflyer Star Alliance devaluation now too. Devaluation seems to be the order of the day. It is extremely rare to see the opposite in any program, meaning miles are rarely if ever worth more than they used to be. Oh my god, is this the new norm ? Airlines kept devaluing their award schemes. Miles and More would be a much more attractive frequent flyer scheme if they did not have the 3 year hard expiry for miles. I misspoke, should have saidde-valuing the KrisFlyer chart for Star Alliance awards. It could have been worse. But if you take two steps back, it’s unfortunate that we have had to start to rate them based on how bad they are. What about domestic DE destinations? Are they affected? It’s been a fairly useless program for me for years, so I’m not surprised. Their fees are so horrid, I have no idea why anyone would bank miles there other than for status. It seems that the IAG program is the best European one at this moment. Haven’t flown them yet, but I agree with Jess that it would be better to bank miles with United. That’s definitely a rough devaluation. In the “good old days” airlines used to give well advance notice (say UA gave almost a year for devaluation in 2016) so that their members wont be suffered too much. Nowadays more and more airlines/ffp play nasty for just announcing any changes with effective dates within at most two months (some are just within weeks like SQ)! What a shame! I have strong thought that, if they kept go on like that, there would be rules or laws to regulate them in the future like banks. Lufthansa not only makes it pretty near impossible for leisure travellers to earn significant miles, but now make it more expensive to spend them. Thank god I chose a different FFP!! It appears this is the trend currently. Programs being devalued over and over, sigh even more reasons to earn and burn don’t wait! spend those points. Wow, quite the devaluation. I can see a lot of people switching from them if possible to use IAG instead. This is really bad news if you reside in Israel. We could use the European chart when flying from here. The only Lufthansa perk left is gone. It now becomes a question of who next, and when? Could have been worse, but it’s still a bummer. If at least they would get rid of those nasty international surcharges on LH & LX flights, an elevation of miles level would be justified. I have also a Miles and More credit card to avoid the expiration of miles that I would like to close. So I hope to redeem some miles before these changes. Fly and use miles soon. Thanks for the heads up. Another devaluation! When the miles programas will give us good news? That’s lifee in the hacker loop. This is not very good. Points should be used. They charge so much taxes on award tickets that I have always found Miles and More pretty useless. Is there anyway to redeem their miles without paying huge taxes? Another airline devaluation. Just goes to show you should never build up currency (miles) in an airline (or anywhere for that matter).